Mum says mother-in-law's actions mean "newborn has no cards or gifts"
So very many mothers-in-law are brilliant, but for some women, their relationship with their partner’s mum is a bit tricky. Add a baby to the mix and things can get even more fraught. One mum is finding herself in that very situation. She took to popular parenting forum Mumsnet to share a delicate situation and ask for advice. 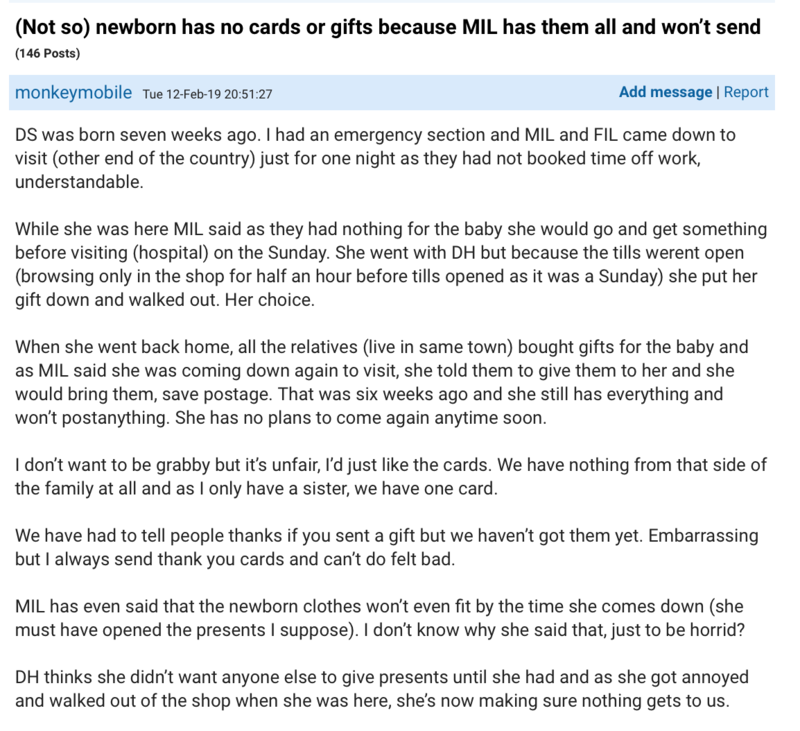 In a post titled “(Not so) newborn has no cards or gifts because MIL has them all and won’t send” this mum explains that she is keen to take a peek at the presents gifted to her baby when he was born, but her mother-in-law has hung onto them. Her baby’s now seven weeks old and her mum-in-law’s apparently collected a bunch of gifts from family and friends but has no plans to visit and drop them off. She lives in another town and is not keen to put anything in the post either. She hints that things are a little fractured between herself and her husband’s mum. This new mum says she’s not trying to be “grabby” about the presents, but more wants to read the cards and see who was generous enough to think of her new little one. “We have had to tell people ‘thanks if you sent a gift but we haven’t got them yet’. Embarrassing but I always send thank you cards,” the mum writes. She also notes that her mum-in-law has not been particularly reasonable about the whole situation, and that she’s even joking about the tardy gifts. The mum-in-law had apparently tried to buy the new baby a gift herself when they visited back when bub was first born, but didn’t quite manage to do so. Hmmm. That sounds … terrible! A storm in a teacup? Or a toxic situation? Mumsnet readers advised this upset mum to send her MIL the money to post the gifts. 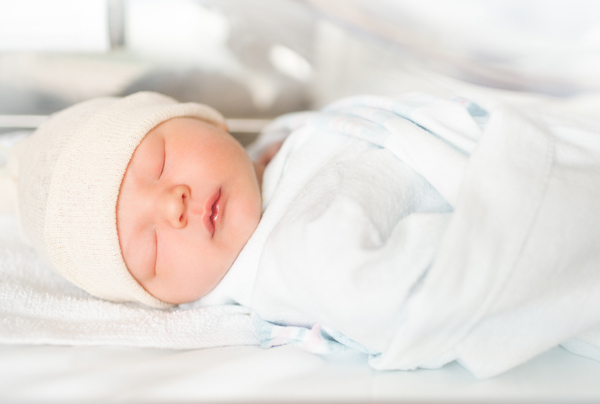 “You have your greatest gift, enjoy your baby, what else matters?” one Mumsnet user posted. Others thought that there might be an ulterior motive and a bit of manipulation at play. Meanwhile, the couple have apparently begun getting in touch with the gift-givers to let them know that there’s been a delay in receiving them.